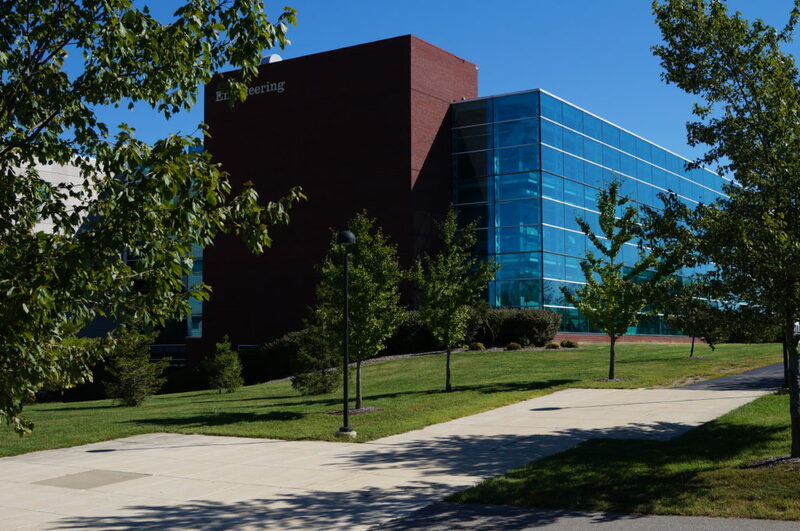 The Engineering Building opened in 2000 to accommodate enrollment and address the need for a modern learning facility for engineering students. 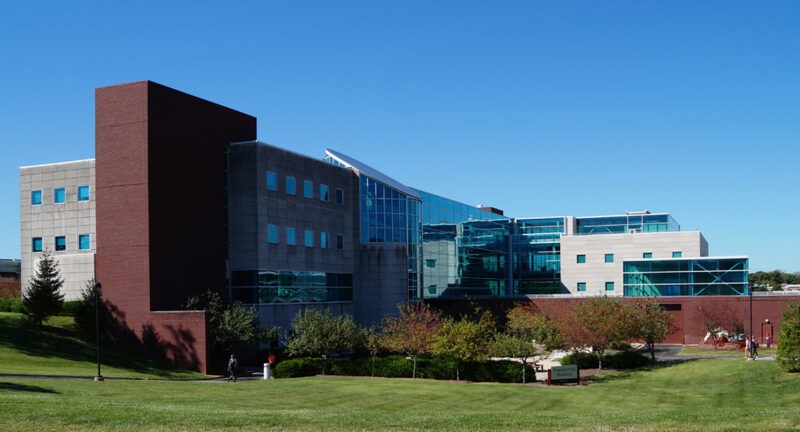 Oates Associates provided survey, site and structural design for the original 129,000 square foot, four-story facility. 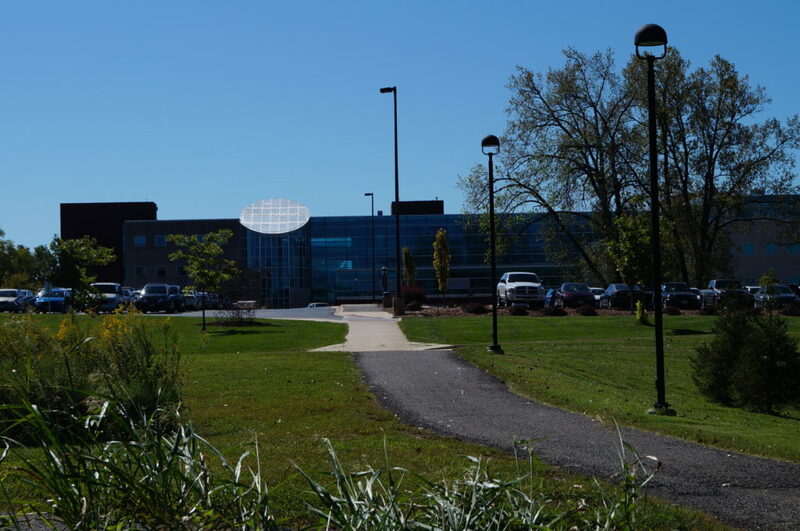 Amenities include aboratories, high-tech equipment, computer labs, classrooms, offices and an auditorium. Unique characteristics of the building are the suspended staircases and glass curtain walls. An acre of glass was used to create an affinity with the outdoors. Site improvements included access and parking planning for the northwest quadrant of the campus, a new entrance road to the Engineering and Art and Design Buildings, new access to Parking Lot E and an expansion of Parking Lot E.
Ten years later, continued growth at the school spurred the need for additional office, classroom, and laboratory space, as well as specialized space for equipment to support hands-on learning. The expansion, a 32,000 square foot annex, connects to the original building via an enclosed bridge. The four-story addition to the northwest corner of the building complements the existing structure. In connection with the expansion, Oates designed a 400 square foot bio-swale to manage storm water runoff from the relocated service road. Oates also designed a 1,500 square foot patio constructed with pervious pavers.